First Stage - A pressure system with oleophilic coalescer inserts (large surface area, corrosion-resistant) operates via a gravitational principle. 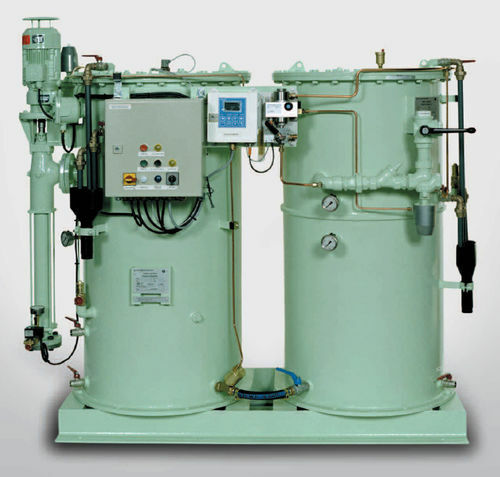 Oily water is passed through the separator via a helical rotor pump, and the separated oil is drained by means of automatic level control. There is a heating coil to address heavy fuel oil scenarios. Second Stage - The second stage features HycaSep elements, or hydrocarbon separator elements, which separate mechanical emulsions. 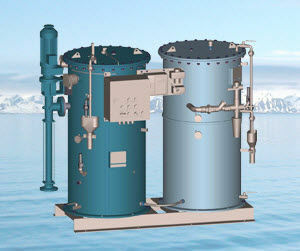 An IMO Certified 15-ppm oil content monitor is included.